This is the second in Dr. Rosenthal’s three-part series on “Cities and Our Future: Governance in the Anthropocene.” Click for the first post. Cities have variously been characterized as “limited” (Peterson 1981), “dependent” (Kantor 1995), and “ungovernable” (Ferman 1985.) Urban scholar Paul Peterson in his seminal work, City Limits, concluded that cities are seriously limited by the structure of American federalism, their own developmental politics, and the consequences of available policy choices. Peterson argues that cities have an interest in policies that enhance economic well-being, but they must compete with one another–often in complex multi-jurisdictional metropolitan areas–in ways that promote inefficiency and suboptimal policy outcomes (lose-lose choices). As a result, cities have disincentives to pursue growth limitations, strict environmental regulation, or generous social programs. As suggested in my first post, mayors are ready and have the motivation to exercise leadership on issues related to sustainability, urban environmental management, and climate impacts. But does the American federal system allow them to lead? Not all federal systems are the same. German Basic Law protects local level decision-making and autonomy. Unlike the Federal Republic of Germany or the larger European Union, U.S. federalism follows less strictly the principle of “subsidiarity” (control exercised at its most local level) and consequently creates a system based much more on fluctuations in power and politics between the states and national government. This allocation of authority produces interesting dynamics depending upon who controls the agenda at each level of governance. Witness, for example, the actions of Republican state attorneys general (including most prominently now-EPA Administrator Scott Pruitt) to thwart the Obama Administration’s environmental initiatives, and now the lawsuits filed by Democratic state attorneys general to stop the rollback of the Obama administration’s “Clean Power Plan” to reduce carbon dioxide emissions from power plants. 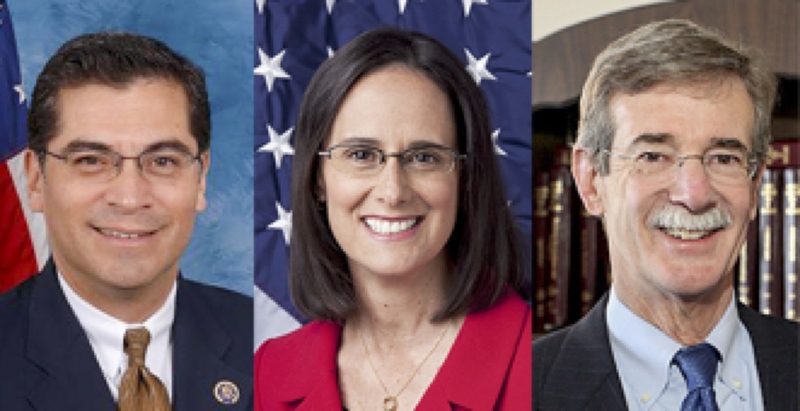 (L to R) Xavier Becerra of California, Lisa Madigan of Illinois and Brian Frosh of Maryland are among the Democratic state attorneys general fighting the Trump administration’s environmental initiatives. Photos courtesy of US House of Representatives/Wikipedia, Illinois Attorney General Office, Maryland Attorney General’s Office. The foundational U.S. legislation undergirding environmental protection divides regulatory authority between the federal government and the states—this is the case with both the Clean Water Act and the Clean Air Act, which vest major enforcement responsibility at the state level. Each act was a product of compromise, insuring an ongoing tug-of-war (Milazzo 2006). In short, the U.S. federal system is ultimately an arena of political struggle and politics where innovation and strategies to protect public goods such as water or air can get caught in the crossfire. As political scientist E.E. Schattschneider (1960) noted, the American federal system has no shortage of venues where advocates can shop for a favorable outcome for their cause. American cities exist in a federalism netherworld. In spite of the reverence paid to local governance (think Alexis de Tocqueville and the realities of 90,000 local jurisdictions in the U.S.), cities have little to no formal authority under the U.S. Constitution. As Tocqueville saw it, local government is absolutely key to democracy in America, yet a body of caselaw has emerged over the last century-and-a-half which insures that cities are subservient creations of the states. In the past, conservatives have argued for local innovation and experimentation to offset the trend toward higher government bloat. For today’s conservatives, however, local innovation and the potential for policy learning and diffusion, especially progressive innovation and diffusion, is exactly the problem. Thus, the current conservative fight for decentralization extends only as far as the states (2017, 419). ALEC’s model bills get drafted by corporate interests and then introduced by sympathetic lawmakers to thwart local initiatives on a range of issues, including efforts to ban fracking, to increase the minimum wage, or to expand diversity protections. 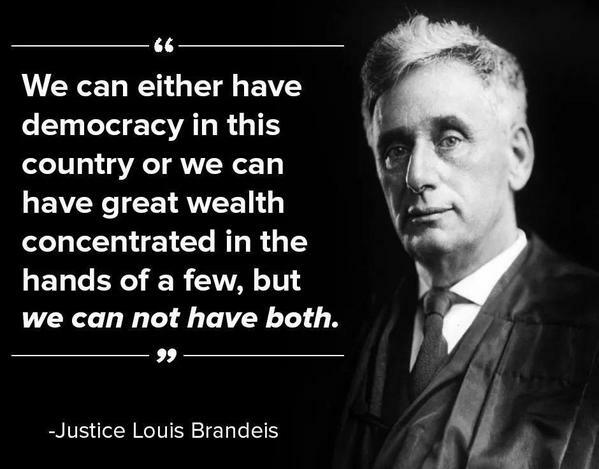 Importantly, Justice Brandeis, who praised the virtues of decentralized laboratories of democracy, also warned that great concentrations of wealth could also thwart democracy. In Oklahoma, lawmakers have considered preemption of basic land use regulation and code enforcement, both fundamental local government powers used in urban environmental management. For example, as in other states, ALEC “model” legislation was introduced in 2015 after the City of Denton, Texas, banned fracking. Backed by oil and gas interests, the Oklahoma Legislature successfully enacted SB 809 which went even further to limit local governments from any kind of regulation of oil and gas operations other than those related to road use, traffic, noise and odors, and setbacks and fencing. In Norman, an ordinance aimed at protecting the city’s primary drinking water source with proscribed setbacks from stream drainages is currently under attack by an oil and gas drilling operator who is invoking the SB 809 language. According to a Brookings Institution report, Dillon’s Rule is essentially neutral on the question of urban environmental management. Some Dillon Rule states – for example, Maryland and Washington — give local governments the tools and incentives to prioritize protection of the environment. At the same time, Oregon—a non-Dillon state – sustains both a strong home rule tradition along with an exemplary environmental ethic. In short, local governments are not defined by Dillon’s Rule. So what does predict the extent of local environmental governance? Are Cities as Limited as Some Have Argued? With colleagues at the University of Oklahoma, I analyzed federal, state and local sources of influence on 812 cities which signed on to the U.S. Conference of Mayors’ climate protection agreement. Our goal was to model multi-level policies to understand why some cities went beyond the initial, and largely symbolic, act of passing a resolution of intentions to taking action to implement environmental initiatives. Our analysis suggests that cities can be independent actors in our intergovernmental system when it comes to climate policy. We find little evidence that policy ideas are spreading from state to local governments in the realm of climate and sustainability, and overall state-level variables have only a modest explanatory effect. One intergovernmental policy that does make a difference in city sustainability action is the availability of federal funding, which some cities use to adopt more climate-related policy initiatives than others. One state-level variable showed a significant relationship with environmental stewardship – that was tourism spending, a clear indicator that a state’s environmental assets also have economic significance. Multi-level modeling suggests that local innovation and bottom-up federalism are alive and well in the arena of environmental policy, and not surprisingly some of the greenest cities in red states are also university communities. We speculate in our research that cities are both responding to citizen preferences as well as embracing policies which will be attractive in the competition for global talent. Over the past several decades, winning and retaining residents and investment has come to require more than competitive business inducements and quality public services. Today’s cities are expected to offer amenities, programs and policies that support the increasingly diverse social, cultural, and ideological sensibilities of their current and future residents (2012, 413). Dillon, John Forrest. 1868. Clinton v Cedar Rapids and the Missouri River Railroad, (24 Iowa 455; 1868). Ferman, Barbara. 1985. Governing the Ungovernable City. Philadelphia: Temple University Press. Kantor, Paul. 1985. The Dependent City Revisited: The Political Economy of Urban Development and Social Policy. Boulder CO: Westview Press. Milazzo, Paul C. 2006. Unlikely Environmentalists: Congress And Clean Water, 1945-1972. Lawrence, KS: University of Kansas Press. Peterson, Paul E. 1981. City Limits. Chicago, IL: University of Chicago Press. Richardson, Jesse J., Jr., Meghan Zimmerman Gough, and Robert Puentes. 2003. “Is Home Rule the Answer? Clarifying the Influence of Dillon’s Rule on Growth Management.” Washington DC, Brookings Institution. Riverstone-Newell, Lori. 2012. “Bottom-Up Activism: A Local Political Strategy for Higher Policy Change.” Publius 42(3): 401-421. —–. 2017. “The Rise of State Preemption Laws in Response to Local Policy Innovation.” Publius, 47 (3): 403-425. Rosenthal, Cindy Simon, James A. Rosenthal, Jonathan D. Moore, and Jamie Smith. 2015. “Beyond (and Within) City Limits: Climate Policy in an Intergovernmental System.” Review of Policy Research, 32(5): 538–555. Schattschneider, E.E. 1960. The Semi-Sovereign People: A Realists View of Democracy in America. New York: Holt, Rinehart and Winston. This entry was posted in Cities and Our Future, Reflections, Urban Anthropocene and tagged cities, environmental governance, federalism, innovation, preemption. Bookmark the permalink.